From Kalamazoo to Timbuctoo, from Timbuctoo and back! 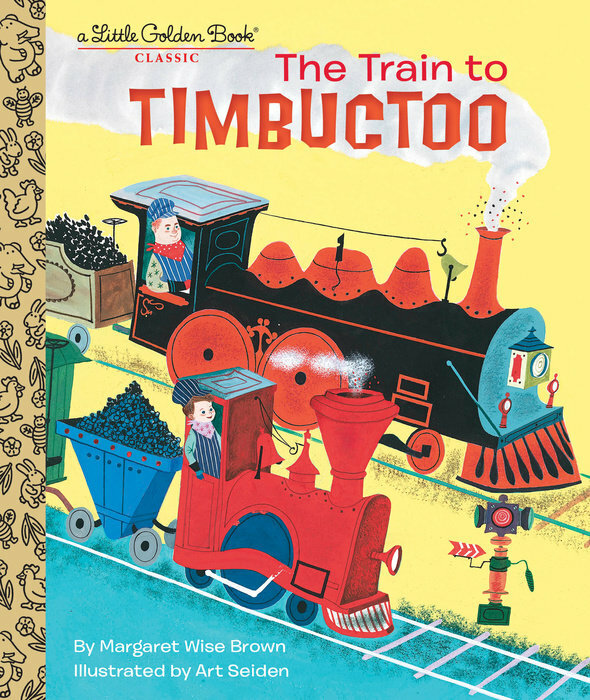 This beloved story from 1951, about a big train and a little train that have just left Kalamazoo, has captured the imaginations of generations of children. Out of print for decades, it is back to delight little ones and their parents and grandparents again. "Clackety-clack—clackety-clack—pocketa-pocketa-pocketa"—down the track they go! Now a new generation of children will pore over the cheerful illustrations of bridges, tracks, and countryside, while listening to this rollicking tale.